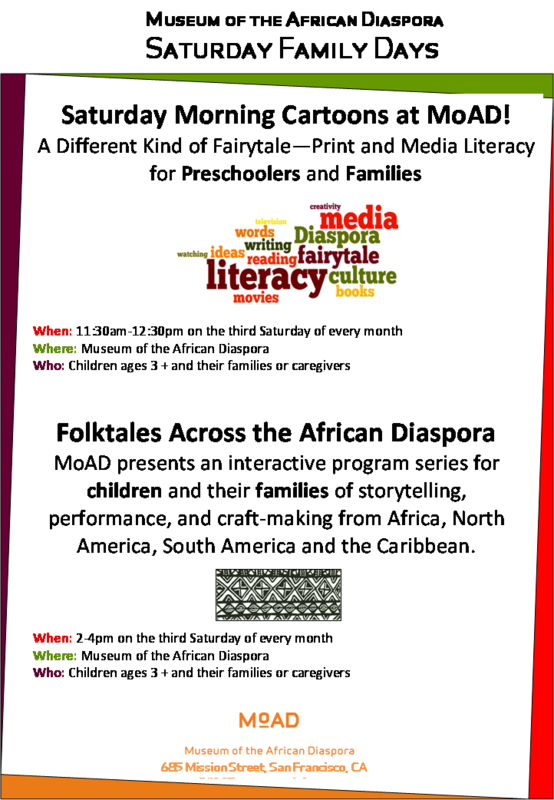 Coming up on July 21, fun for the family at the Museum of the African Diaspora. They have two different programs on the same day. 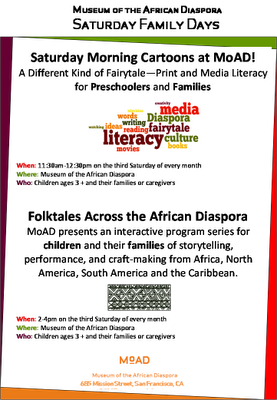 The first is "a different kind of fairytale - print and media literacy" aimed at preschoolers. The later program is folktales, crafts and performance from across the African diaspora. More details here.